NAIROBI – Somalia and Kenya have failed to reach an agreement on how to settle a border dispute in a Nairobi meeting brokered by Ethiopian Prime Minister Abiy Ahmed, Business Daily has reported. According to the daily, Mogadishu wants to wait for the International Court of Justice (ICJ) to decide on the dispute as while Kenya prefers an out-of-court settlement. The Kenyan side largely kept silent on the details of the meeting and there was no joint communique issued after the discussions held during a closed-door meeting at State House, Nairobi. The meeting was meant to restore diplomatic normalcy between the neighbours after Kenya on February 16 recalled its ambassador to Somalia following the Mogadishu government’s decision to auction oil and gas exploration blocks at the centre of a maritime territorial dispute in the Indian Ocean. 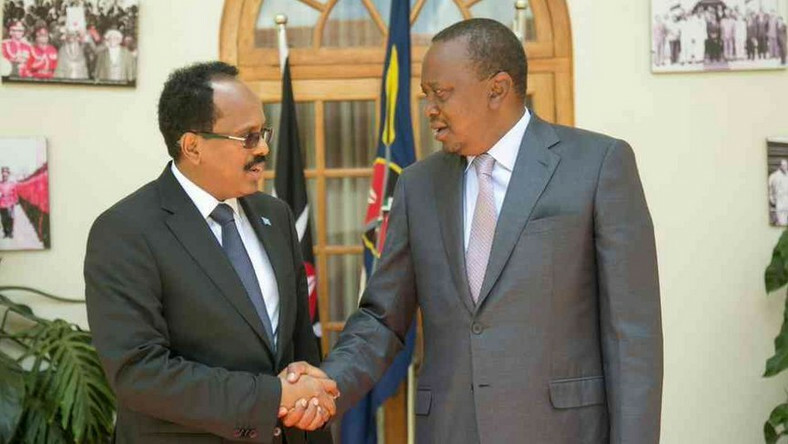 On Wednesday, March 6, the Ethiopian leader mediated a meeting in Nairobi between presidents Uhuru Kenyatta and his Somali counterpart Mohammed Farmaajo. Somali spokesman Abdinur Mohamed Ahmed said the leaders agreed to allow back their respective envoys as a way of “restoring relations”. “They also agreed to have their respective ambassadors return to each country’s mission to resume their important duties,” he said Wednesday.